Even the wonkiest of drug policy reformers can't spend all their time reading policy proposals, research results, and desert-dry academic treatises, but Reefer Movie Madness is much more than a mere guilty pleasure. 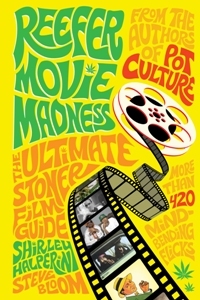 Penned by former High Times editor and Celebstoner.com proprietor Steve Bloom and former High Times intern turned entertainment writer Shirley Halperin, Reefer Movie Madness is not only a most excellent guide to stoner filmdom, it also maps the cultural acceptance of marijuana in America through film history. A follow-up to the pair's well-done, comprehensive compendium of all things cannabinical, Pot Culture, Reefer Movie Madness profiles more than 700 films that are about marijuana, feature marijuana in key scenes, feature other drugs, or just plain a gas to watch stoned. The films are ranked via a five-star rating system, and the authors demonstrate exquisite taste and filmic knowledge in their rankings (meaning that their tastes agreed with mine). They begin at the beginning, going back even before 1936's anti-pot propaganda classic Reefer Madness to note such obscure films as 1924's High on the Range, in which Cowboy Dave smokes a reefer, and 1933's International House, in which jazz legend Cab Calloway performs "Reefer Man." But in the late 1930s, as Harry Anslinger crusaded against the demon weed, so did Hollywood. In addition to Reefer Madness, the movie industry cranked out propaganda like Marijuana: The Weed with Roots in Hell (1936), Assassin of Youth (1937), and just a handful of years later, Devil's Harvest (1942). While such films helped shape American attitudes at the time, and for decades to come, they are now the stuff of nonstop laugh fests. While marijuana and other drug use was portrayed intermittently, and occasionally, even with some sympathy for drug users, it wasn't until the cultural revolution of the 1960s, bringing us classic stoner films like Wild in the Streets (1968) and Easy Rider (1969), that pot-smoking began to be widely portrayed as anything but deviant. And it wasn't until the late 1970s that Cheech and Chong's Up in Smoke gave birth to the now ubiquitous stoner comedy genre (although Bloom and Halperin give the classic Animal House, with its single hilarious pot-smoking scene partial credit for establishing the genre, too). By now, stoner movies and depictions of pot-smoking are everywhere, most notably, but not only, in the stoner comedy genre. Films like Half-Baked, How High, Friday, and Strange Wilderness are now being produced by mainstream production companies, and the Judd Apatow franchise alone has been responsible for numerous box office hit stoner flicks, including The 40-Year-Old Virgin, the underrated Walk Hard: The Dewey Cox Story, Knocked Up, Forgetting Sarah Marshall, Superbad, and Pineapple Express. This year's Get Him to Greek, featuring the inimitable and charismatic Russell Brand and Apatow regular Jonah Hill, was released too late for inclusion, but will certainly make the next edition. The book is divided into sections by genre: comedy, drama, sci-fi/fantasy/horror, action, sports, music, documentaries and offers spot-on capsule reviews of more than 700 films, complete with plot summaries, star rankings, and choice quotes. Reefer Movie Madness also includes themed lists (Best Buds: Ten stony duos that take friendship to a higher level; Stoner Inventions and Innovations), celebrity Q&As, and lists of favorite stoner movies from well-known actors, directors, and musicians, including Cheech & Chong, the Trailer Park Boys, Snoop Dog, and Melissa Etheridge, among many more. Reefer Movie Madness is a bookshelf must for pot movie fans, whether they be culture mavens or fully-baked couch potatoes. Even for veteran stoner film watchers, it contains some delicious movies you've never seen before and helps you remember long-forgotten gems. It has already vastly increased the length of my Netflix queue, and once you pick it up, the same thing is going to happen to you. But beyond that, Reefer Movie Madness is a valuable and important contribution to charting and understanding the pop cultural role of marijuana in the past few decades. And it's a gas to read, stoned or not. 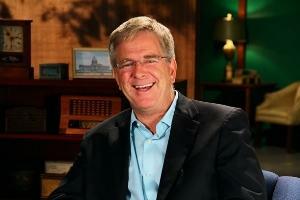 PBS star and prolific travel guidebook author Rick Steves is a prominent advocate of marijuana legalization and drug reform. 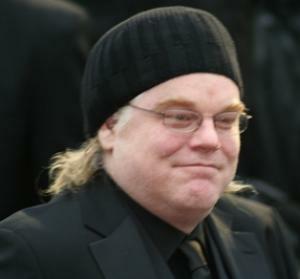 For years, he has advocated for freeing the weed and adopting a more moderate, European-style approach to drug policy. He has enjoyed successes, playing a leading role in bringing the public around in Washington state, which legalized weed in 2012, and continuing to make his high-profile calls for more enlightened drug policies. But now, the Trump administration, and Attorney General Jeff Sessions in particular, is trying to put the brakes on, and that got Steves thinking. In response, as Rolling Stone reports, Steves has now combined his travel savvy and his drug reform advocacy in proposing an eye-opening, pot-centric European travel itinerary tailor-made for Sessions in the hope that some of the Old World tolerance would rub off on him. 1. Switzerland. "I would take him to Switzerland and we'd go to a heroin maintenance clinic," Steves said, referring to the country's pioneering and non-criminal approach to opioid addiction. 2. Barcelona. Cannabis clubs are allowed there. "In Spain they can't sell marijuana but they can grow it. In practice, they don't want to grow it so they join a club that grows it collectively, and they can enjoy the harvest." 3. The Netherlands. Steves said he would take the attorney general to one of those famous Dutch "coffee shops" where adults can legally purchase small amounts of weed. "After the coffee shop, we'd visit a mayor and a policeman and have [Sessions] listen to the mayor and policeman explain why they'd rather have coffee shops than have marijuana sold on the street," Steves says. 4. Portugal.The Iberian nation decriminalized the possession of all drugs in 2001. And not only is it still standing, it has drug use levels similar to other European countries, but without all the arrests. Of course, Sessions is unlikely to take Steves up on his offer and even more unlikely to be convinced by saner European approaches, but Steves' point is still made: There are better ways of dealing with drug use and abuse. We just have to acknowledge them. Maine's legalization initiative looks like it will qualify for the ballot, Tommy Chong endorses Bernie Sanders, a new federal bill would fund needle exchanges, naloxone is in the news, and more. Obama Says Marijuana Reform Not on His Agenda in Final Year. In a Friday press briefing, White House press secretary Josh Earnest said any progress on further federal marijuana reform would have to come from Congress, not the president. "There are some in the Democratic Party who have urged the president to take this kind of action. The president's response was, 'If you feel so strongly about it, and you believe there is so much public support for what it is that you're advocating, then why don't you pass legislation about it and we'll see what happens.'" Tommy Chong Endorses Bernie Sanders. This is not exactly a shocker, but every endorsement helps. Iconic stoner comedian Tommy Chong has endorsed Sen. Bernie Sanders (I-VT) for the Democratic presidential nomination, citing his support of marijuana legalization. "Bernie does support that… legalization that I care so deeply about, legalization of the super-medicine marijuana. So I know this year, you and I are going to 'Feel the Bern,' go up to the polling booths, and light up, man, for progress and change." Chong also touted Sanders' positions on immigration, equality, and a living wage, and he jokingly referred to Sanders as the "commander-in-Kush." Maine Legalization Group Submits Nearly Double the Signatures Needed to Qualify for Ballot. It looks like Mainers will be voting on legalization in November. Today, the Campaign to Regulate Marijuana Like Alcohol turned in more than 103,000 raw signatures for its petition drive. It only needs 61,000 valid voter signatures to qualify for the November ballot. Seattle Medical Marijuana Shops Sue State Over Licensing Process. A handful of long-time Seattle dispensaries filed a lawsuit last Friday against the state Liquor and Cannabis Control Board, saying the agency isn't following its own rules in issuing a new round of licenses for retail pot shops. The agency is supposed to give priority to dispensaries that have played by the rules, but the plaintiffs say it isn't doing that. Illinois Refuses to Expand List of Qualifying Medical Conditions. The administration of Republican Gov. Bruce Rauner will not allow patients suffering from eight conditions to use medical marijuana. The Department of Public Health announced last Friday that no new conditions would be added despite pleas from patients, advocates, and medical marijuana business owners. The Medical Cannabis Alliance of Illinois issued a statement calling the decision "a gross injustice to patients." New York Medical Marijuana Expansion Bill Filed. Assemblyman Richard Gottfried (D-Manhattan), chair of the Assembly Health Committee, last Friday filed a bill that would double the number of medical marijuana manufacturers and dispensaries in the state. The bill is not yet available on the legislative website. Federal Bill Would Provide Funding for Needle Exchange Programs. 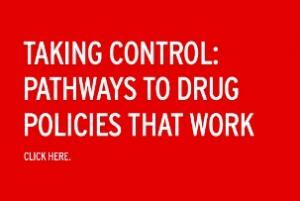 Rep. Frank Pallone (D-NJ) last Friday introduced HR 4396 to address heroin and prescription opiate use. 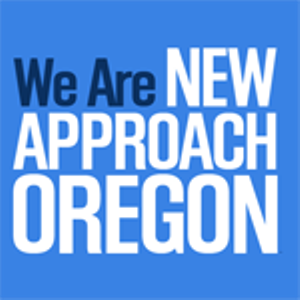 The bill has provisions for prevention, treatment, and recovery, as well as grant programs for needle exchanges and to reduce overdose deaths. The bill has been assigned to four different committees. Utah Bill to Make Police Prove Seized Property Was Involved in Crime Wins Committee Vote. Rep. Brian Greene's (R-Pleasant Grove) House Bill 22, which would require police to prove seized property is involved in a crime, reversing the burden of proof requirement under the state's civil asset forfeiture law, has unanimously passed the House Judiciary Committee. The bill also includes a provision making the state pay citizens' attorney fees and costs is property is wrongfully seized. It now heads for a House floor vote. 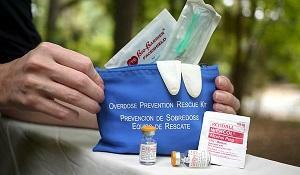 Overdose Prevention Drug Has Saved 2,000 Lives in North Carolina. The North Carolina Harm Reduction Coalition reported last Thursday that the number of people whose opiate overdoses were reversed by naloxone (Narcan) had surpassed 2,000. CVS to Make Overdose Prevention Drug More Widely Available in Ohio. The pharmacy chain announced today that it will make naloxone (Narcan) more available at stores throughout the state. Law enforcement had been skittish about using the drug, but as Lucas County Sheriff John Tharp noted, "We are in a heroin epidemic and this is just another tool to save lives." New Orleans to Make Overdose Reversal Drug Available Over the Counter. People seeking naloxone (Narcan) will be able to pick it up without a prescription at the University Medical Center, city officials announced last Friday. City Medical Director Dr. Joseph Kanter has ordered the move in a bid to reduce fatal overdoses. "There are no side effects. There is no abuse potential," Kanter said. "The primary effect of this medicine is to save a life." 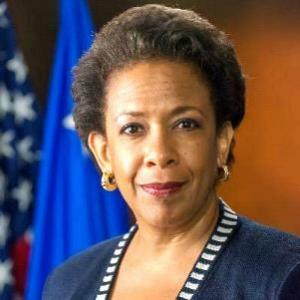 Attorney General Loretta Lynch is following the same path on marijuana states as her predecessor, the big California legalization initiative rolls out, Uruguay grants licenses to grow commercial marijuana, there will be no cannabis sales in Berlin (at least for now), and more. 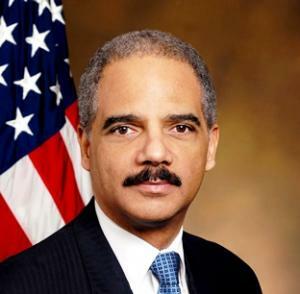 Attorney General Lynch Reaffirms Obama Administration's Approach to Marijuana States. The new attorney general has made clear she is not going off the reservation when it comes to marijuana policy. Former Attorney General Holder crafted the administration's largely hands-off approach, and Lynch has now said she will follow that path. "I think states have to make these decisions on their own," she said in an interview with NBC. "They listen to their citizens and they take actions. What we have said, and what we continue to say is that states have to also have a system designed to, number one, mitigate violence associated with their marijuana industries. 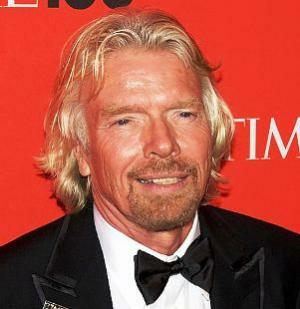 And number two, and perhaps most importantly, keep young people, children away from the products." ReformCA Rolls Out Its California Legalization Initiative. The California Coalition for Cannabis Policy Reform, also known as ReformCA, has filed a draft marijuana legalization initiative with state officials, the group announced Sunday. The long-anticipated move means the campaign best-placed to bring legalization to the Golden State can finally get underway.The Control, Regulate and Tax Cannabis Act of 2016 would allow people 21 and over to possess and cultivate limited amounts of marijuana and it would set up legal marijuana commerce overseen by a pair of new state agencies, the California Cannabis Commission and the Office of Cannabis Regulatory Affairs. Click on the title link to read our feature story. Oregon Dispensaries Rake in the Bucks from Recreational Sales. Dispensaries, which were allowed to start selling marijuana to any adults October 1, are reporting "gangbuster" business during their opening weekend. One Southeast Portland dispensary reported 600 customers a day, compared to the 30 a day it had been seeing for medical marijuana. A Bend dispensary reported $55,000 in sales on opening day, and a Northeast Portland dispensary was staying open 24-hours-a-day to meet demand. Illinois' First Medical Marijuana Crop is Coming In. Shine on, harvest moon. The state's medical marijuana cultivation centers spent the weekend harvesting their first legal crop, and some are already preparing their first shipments to patients. The state has had a medical marijuana law in effect since January 2014, but only now is the medicine about to get to patients. Ohio Attorney General Again Rejects Medical Marijuana Initiative Summary. For the second time, Attorney General Mike DeWine has rejected the summary language for a proposed medical marijuana initiative from Ohio Medical Cannabis Care LLC. DeWine pointed to six defects in the language. The group can resubmit its language once it has addressed them. Click on the link for details on the defects. Three of Kettle Falls Five Sentenced to Federal Prison. The Kettle Falls Five were a family group of medical marijuana patients pursued by federal prosecutors even though both medical and recreational marijuana are legal in Washington. Last Friday, two were sentenced to a year and a day in federal prison, while a third was sentenced to 33 month. Family patriarch Larry Harvey was also prosecuted, but has died, and a fifth member has already pleaded guilty and been sentenced to 16 months. The three sentenced last Friday are still free while their convictions are being appealed. Massachusetts Senate Passes Bill Aimed at Opiate Abuse. The measure, Senate Bill 2020, is focused on prevention and intervention to curb opiate use. It has provisions regarding pain management, expanded manufacturer drug take-back programs, and insurance changes to make it easier to get coverage for drug treatment. The bill now goes to the House. A-List Celebs Get Behind Sentencing Reforms, Prison Population Reductions. Amy Schumer, Steph Curry, Ed Norton, Jesse Williams, Chris Pine, Russell Simmons, and Piper Kerman are among 90+ celebrities calling for reform to our criminal justice system. The stars are joining the campaign led by #cut50, a bipartisan effort to reduce our incarcerated population by 50 percent over the next 10 years. The celebrity push comes on the heels of a historic deal on criminal justice reform last week. The bill, spearheaded by Judiciary Committee Chairman Chuck Grassley (R-IA), will involve reductions in mandatory minimum sentences for drug offenses, an expansion of the federal "safety valve" (which allows judges to use their discretion to sentence people below statutory mandatory minimums), and will expand reentry programming and early release. Click on the link for more. No Cannabis Cafes for Berlin. Plans for Germany's first legal marijuana sales businesses have gone up in smoke after federal regulators rejected plans by Berlin's Kreuzberg-Friedrichschain district to allow them. The Federal Institute on Pharmaceuticals put the kibosh on the plan, but this isn't the end of it. Similar moves are afoot in Hamburg, Bremen, Munster, and Dusseldorf, and Kruezberg-Friedrichschain says it isn't giving up, either. Uruguay Awards Commercial Marijuana Cultivation Permits. Marijuana should be available for sale at pharmacies in about eight months after Uruguay has now selected two companies to grow it for the country's legal market. It will go for about $1.20 per joint. Afroman's got a whole new positive take on "Because I Got High." Report: California Decriminalized, and Nothing Bad Happened. A new report from the Center on Juvenile and Criminal Justice examines California's experience with marijuana since decriminalization went into effect at the beginning of 2011. It finds that "marijuana decriminalization in California has not resulted in harmful consequences for teenagers, such as increased crime, drug overdose, driving under the influence, or school dropout. In fact, California teenagers showed improvements in all risk areas after reform." There's lots of good number-crunching and analysis. Click on the second link to read the whole thing. Afroman Revised: Good Things Happened "Because I Got High." California rapper Afroman burned up the charts in 2001 with his catchy lamentation about the perils of being a stoned-out couch potato, but now, thanks to NORML and Weedmaps, he's back with a new version of "Because I Got High," and he's singing a different tune. He eased his glaucoma thanks to the "cannabis aroma" and he can deal with anxiety attacks without Xanax, he sings. The song's new lyrics praise the benefits of marijuana in a number of ways, all supported by scientific evidence, says NORML, which has been working with Afroman for several years. Click on the title link to view the video. Massachusetts Patients Protest Over Medical Marijuana Implementation. Several dozen patients and advocates rallied outside the Department of Public Health in Boston Tuesday to call on the department and the governor to get the state's medical marijuana program moving. Voters legalized medical marijuana nearly two years ago, but: "We have zero cannabis plants in the ground to serve the patients," said Mickey Martin, a medical marijuana activist. "It's unacceptable to make patients wait." The protestors are calling for the state to immediately open up the program, get dispensaries up and running, and ease restrictions on "hardship cultivation" so more patients can grow their own. 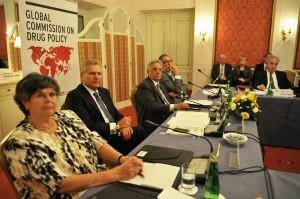 Brookings Report Sees Marijuana Legalization as Chance to Update International Drug Treaties. A report from the Brookings Center for Effective Public Management, "Marijuana Legalization is an Opportunity to Modernize International Drug Treaties," says that the Obama administration's tolerance of legal marijuana in the states creates tension with international drug control treaties and that, as state-level legalization spreads, the US should consider "narrowly crafted treaty changes" to "create space within international law for conditional legalization." The US could, for now, argue that even allowing state-level legalization is compliant with the treaties, but that argument will not hold water if legalization spreads, the authors say. Click on the report link to read the whole thing. Prescription Pain Reliever Deaths Drop for First Time in Years, But Heroin Deaths Up. For the first time since 1999, deaths from prescription opiates declined in 2012. The number of prescription opiate ODs quadrupled to nearly 17,000 by 2011, before dropping to 16,007 in 2012, a decline of 5%, according to data from the Centers for Disease Control and Prevention. Federal officials are crediting crackdowns on "over-prescribing" and the expansion of prescription drug monitoring programs. The decline in prescription opiate ODs follows a tapering off of the rate of increase that began in 2006. Before that, ODs had increased at a rate of 18% a year beginning in 1999; after that, the rate of increase declined to 3% through 2011. But with the crackdowns has come an apparent shift to heroin among some prescription opiates, and with that is a rising heroin OD death toll. Heroin ODs jumped 35% from 2011 to 2012, reaching 5.927 that year. Pennsylvania Prescription Drug Monitoring Bill Goes to Governor's Desk. A bill that would establish a prescription drug monitoring database has passed the House. Senate Bill 1180 already passed the Senate in May, and after a pro forma housekeeping vote there, goes to the desk of Gov. Tom Corbett (R), who has said he will sign it. The legislation would track all prescriptions for Schedule II through Schedule V drugs, which is a bit too far for the ACLU of Pennsylvania. The rights groups said it had privacy concerns, and that low abuse potential Schedule V drugs should not be tracked. "Baby Bou Bou" SWAT Raid Protestors March to Atlanta Federal Courthouse. Supporters of Bounkham "Baby Bou Bou" Phonesevahn, the Georgia toddler severely burned by a flash bang grenade during a botched SWAT drug raid, marched to the federal courthouse in Atlanta Tuesday to press for federal action in the case. A local grand jury refused to indict any of the officers involved. The group, included a lawyer for the family, met with US Attorney Sally Quillian Yates to discuss possible federal charges. Yates' office said it is considering the case. New Zealand Arbitrator Throws Out Positive Marijuana Test Firing. The Employment Relations Authority has overturned the firing of a man forced to take a drug test after an anonymous caller told his employer he had been smoking pot in a parking garage. The Authority held that the company was not entitled to force the man to take a drug test. The company was ordered to pay $14,000 in damages and lost wages. Colombia Massacre Opens Window on Black Market Synthetic Drug Trade. Eight reported drug traffickers involved in trying to dominate the trade in synthetic stimulants were gunned down outside Cali recently, and TeleSur TVhas a lengthy and interesting report on what it reveals about the fragmented nature of the drug trade there and the role of the new synthetics in it. The new drugs, such as 2CB, known colloquially as "pink cocaine," are popular with elite youth, and are now apparently being produced in-country. The lucrative trade is leading to turf wars, with the Cali killings being the most evident example. Maryland Decriminalization Bill Killed; Task Force Will Study It Instead. Marijuana decriminalization is dead for the year in Maryland after a bill to do just that -- House Bill 879 -- died without a vote in the House Judiciary Committee. Instead, the committee, led by reform foe Rep. Joe Vallario Jr. (D-Prince Georges), chose to form a task force to study the issue. 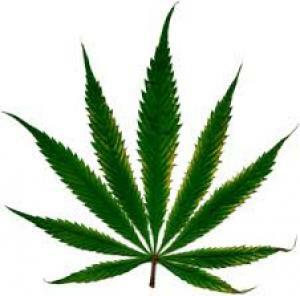 Washington State Will Issue First Marijuana Store Licenses by July, Impose Lottery System. Colorado is the only state where you can walk into a store and legally purchase marijuana, but not for long. Washington state regulators announced Wednesday that the first retail marijuana licenses will be issued "no later than the first week of July." The state has already issued licenses to eight growers. After eliminating retail license applications that did not return required documents or were incomplete, the state still has more than a thousand applications for the 334 stores it will allow to open, so it is imposing a lottery system to determine who gets those licenses. Northern Mariana Islands Senate Ponders Legalization. The Senate of the Commonwealth of the Northern Mariana Islands, a US protectorate, discussed the possibility of legalizing marijuana Wednesday. The Fiscal Affairs Committee touched on legalization when discussing a decriminalization bill, and committee member Sen. Pete Reyes (IN-Saipan) said members had asked the Senate legal counsel to research Colorado's legalization model. "Yes, the committee is tinkering with the idea, whether it's a good idea to legalize it or not. But nothing is final. Nothing is decided," Reyes told The Saipan Tribune. New Jersey Patient Sues NJ Transit for Denying Him a Job. A former New Jersey Transit worker and medical marijuana patient who was denied a new position with the agency after testing positive for marijuana is suing in hopes of seeing marijuana recognized as a legitimate medication. Charlie Davis, 57, said he was denied both safety sensitive and non-safety sensitive positions with the agency. Courts in other medical marijuana states have generally upheld the rights of employers to fire workers who use medical marijuana even if it is legal. Illinois Senate Passes CBD Medical Marijuana Bill. A bill that would allow children to use high-CBD cannabis oil to treat epilepsy passed the Senate Wednesday. Filed by Sen. Iris Martinez (D-Chicago), Senate Bill 2636 now heads for the House. Minnesota TV Ad Attacks Gov. Dayton for Opposing Medical Marijuana. Patients and medical marijuana advocates have unleashed an aggressive TV ad targeting Gov. Mark Dayton (DFL) for standing in the way of medical marijuana legislation. The ad features a St. Paul mother and her seizure-ridden child, whom Gov. Dayton told to just find medical marijuana on the street! South Carolina House Passes CBD Medical Marijuana Bill. The House Wednesday passed a bill allowing people suffering from severe epilepsy to legally use CBD cannabis oil to control their seizures. House Bill 4803 is less restrictive than a Senate measure passed last week. It's unclear what happens next. Louisiana House Committee Passes Bill to Allow Overdose Reversal Drug. The House Health and Welfare Committee Wednesday passed a bill that would allow first responders to provide the overdose reversal drug naloxone (Narcan). House Bill 754 now heads for a House floor vote. Every Cop in New York Will Carry Overdose Reversal Drug. Under a new initiative announced today by Attorney General Eric Schneiderman (D), every state and local law enforcement officer in the state will be able to carry with them the overdose reversal drug naloxone (Narcan). The Community Overdose Prevention program will provide police with kits containing two syringes filled with naloxone, two inhalers of the drug, sterile gloves and a booklet on using them. The cost of the kit is roughly $60. Each has a shelf life of about two years. Some New Jersey Cops to Carry Overdose Reversal Drug. Police throughout Ocean and Monmouth Counties soon will be armed with a drug that can save heroin users from fatal overdose, launching a program officials hope will be adopted statewide in New Jersey. All 32 Ocean County police departments are participating in a pilot program backed by Gov. Christie, who said Wednesday that equipping police with the drug, naloxone (Narcan), would help save lives. Louisiana House Passes Harsh Heroin Sentencing Bill. The House voted 96-0 Wednesday in favor of a bill that imposes mandatory minimum prison sentence for heroin possession and increases sentences for heroin dealers. But first, it amended House Bill 332 so that, in addition to prison time, heroin users would also have to undergo court-approved drug treatment. Under the bill, heroin possessors would have to do at least two years in prison, while dealers would see their mandatory minimum sentence doubled from five years to 10. The bill now goes to the Senate. Mexican Drug War Victims Criticize Lack of Progress on Tens of Thousands of Cases. Families of drug war victims who were hoping to see concrete policy shifts with the change of administrations a year and a half ago are growing impatient with the lack of progress on tens of thousands of cases of murders and disappearances. An estimated 100,000 Mexicans have been killed since former President Felipe Calderon turned drug prohibition policies into a militarized offensive. The whereabouts of another 26,000 are unknown. They are Mexico's "disappeared". Some are believed to have been kidnapped by criminals, others have vanished after being taken into police custody. Click on the link for the full report. Guatemalan President Will Present Plan to Legalize Marijuana and License Opium Production. Guatemalan President Otto Perez Molina said Wednesday his country could present a plan before year's end to legalize the production of marijuana and opium poppies. See our news brief today for more detail. Albanian Cops Try Persuasion in Marijuana-Growing Village. Albanian Police peacefully visited the village of Lazarati this week in a bid to get school children to persuade their parents not to grow marijuana there. Lazarati is described as "a paradise for cannabis growers and criminals," and has been a no-go zone for police for nearly two decades. Villagers in the past have created armed groups to fend off eradication efforts, and even the kids didn't seem too keen on giving up the trade. "If you tell us to convince our parents not to grow cannabis, do you guarantee us that you will provide jobs for them? This is our way of life," one student replied. British Celebrity Chef Nigella Lawson Denied Entry to US Over Cocaine Use Admission. Nigella Lawson was stopped from boarding a flight from London to the US because of her courtroom confession that she used cocaine. Lawson was never charged with a criminal offense over her confession, but the US can deny travel to foreigners who have committed offenses without being charged.